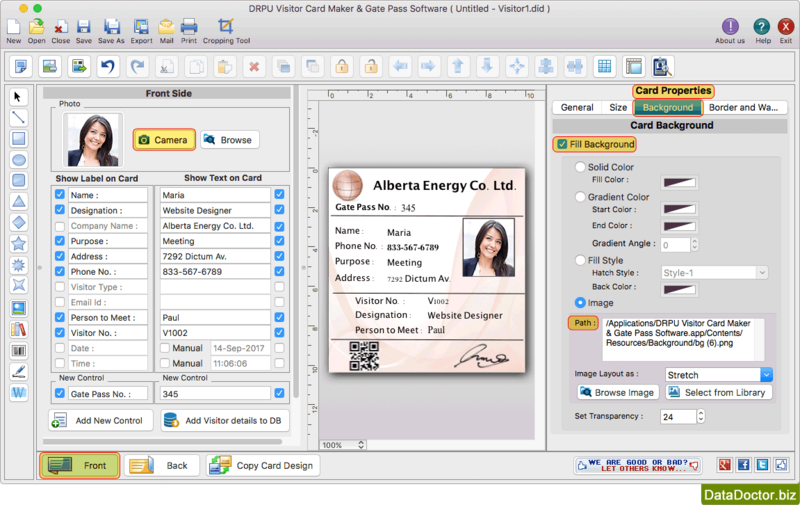 Mac OS X compatible visitors ID Cards Maker for Mac design visitor ID card or gate Pass for visitors. Software is also having option to manage visitor's details to the database. You can also export your visitor record in Excel and search particular visitor's record from the database. Software is having E-mail setting option to send designed visitor ID Card at specified email address. Mac users can print visitor ID Cards using print settings option on Mac machine. You can copy current design of ID card to the other side of Card. Provide option to capture Visitor's photo while designing Visitor ID card or Gate Pass. 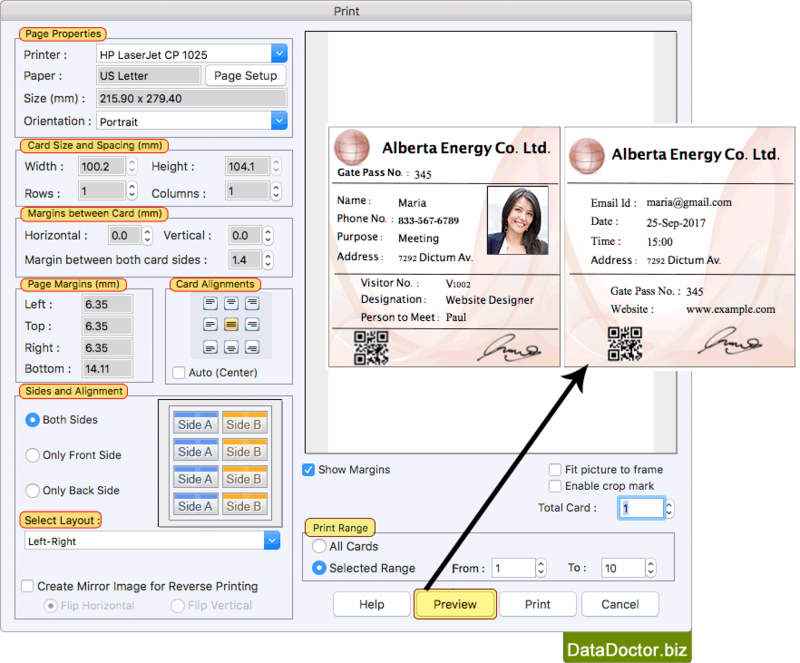 Software facilitates to export designed Visitor ID card as Image (JPEG, PNG etc. ), as PDF and as Template. Provides option to save your visitor ID cards in different file formats like JPEG, PDF, BMP etc. Software is having inbuilt E-mail setting feature to send designed ID cards to the specified email address. 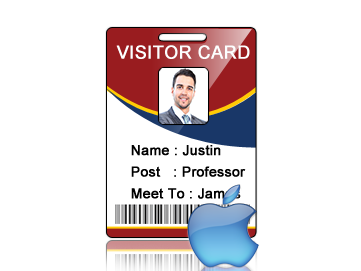 How to Design Visitors ID Cards on Mac? 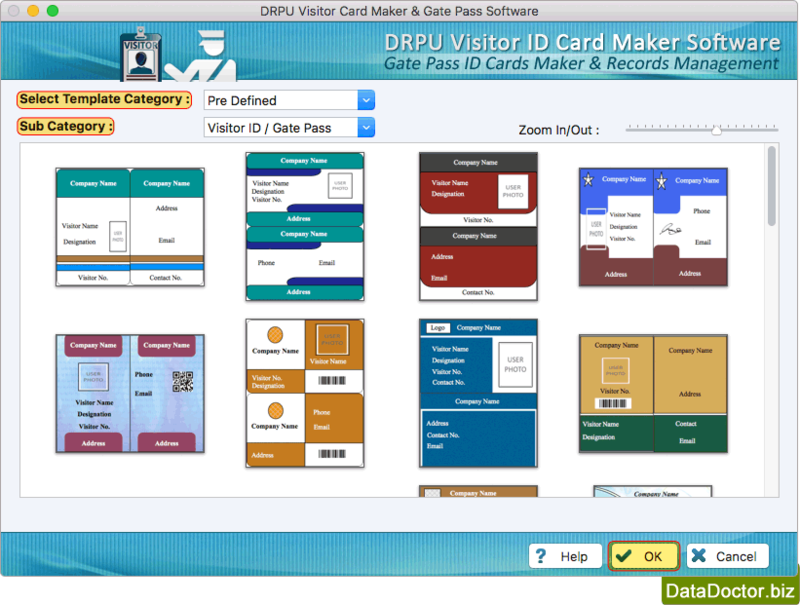 Select Pre-defined Template for designing visitor ID Card and proceed to 'OK' button. Enter visitor details on your ID card. To add photo on your ID card, you can use Camera to capture image and add on your ID card. To print designed ID card, set all print settings and Click on print button. You can see the preview of your designed ID card by clicking on 'Preview' button.